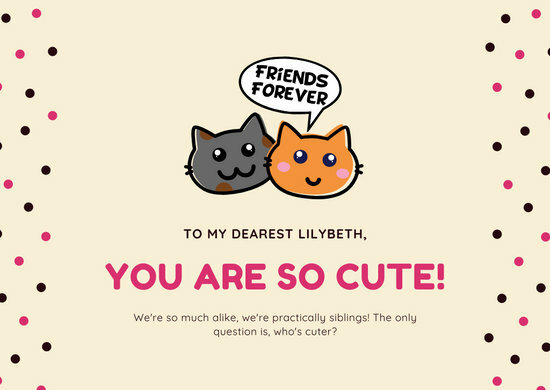 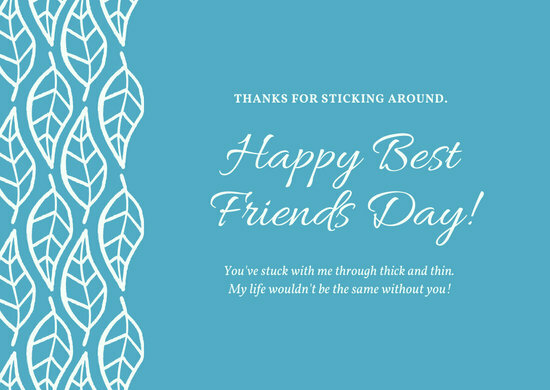 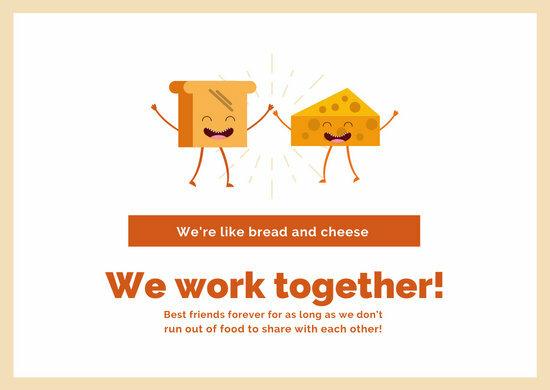 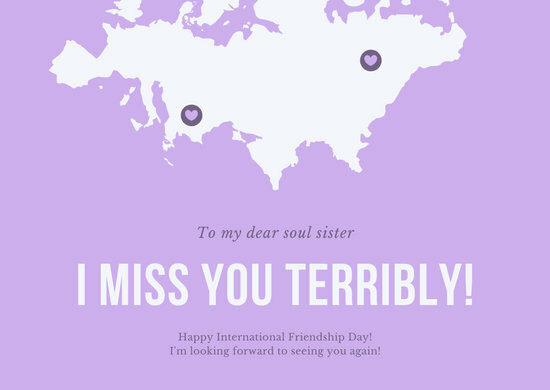 Make your BFF smile by sending them a meaningful card to marks your lasting friendship. 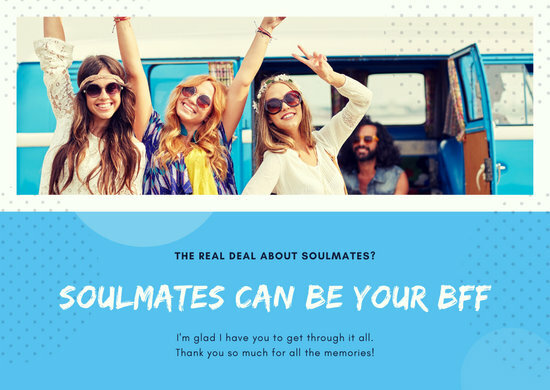 With Canva, you have dozens to choose from and personalize! 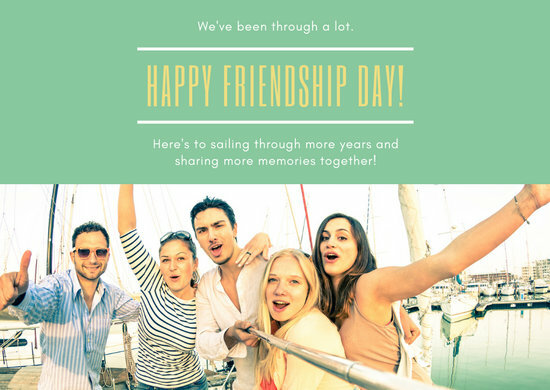 In a digital world, it's easy to stay connected with friends. 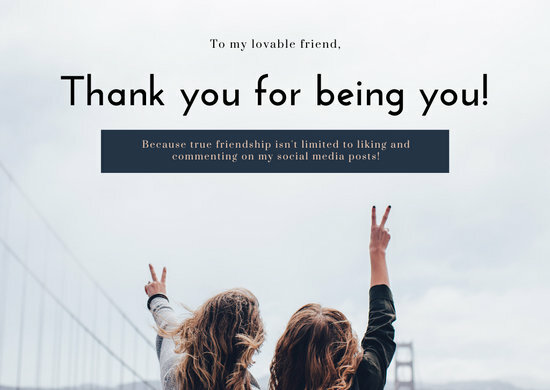 But in spite of social media making people more well-connected than ever, maintaining real life friends can be difficult. 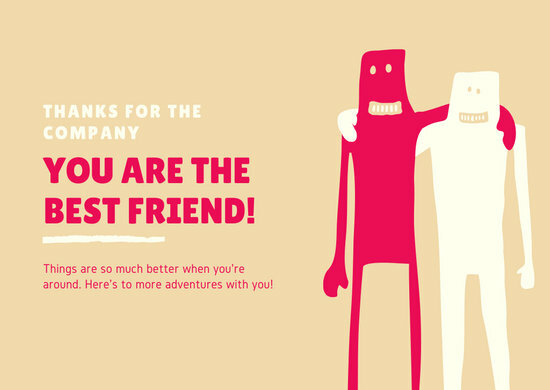 Oftentimes, friendships are taken for granted due to the convenience of 24/7 online updates. 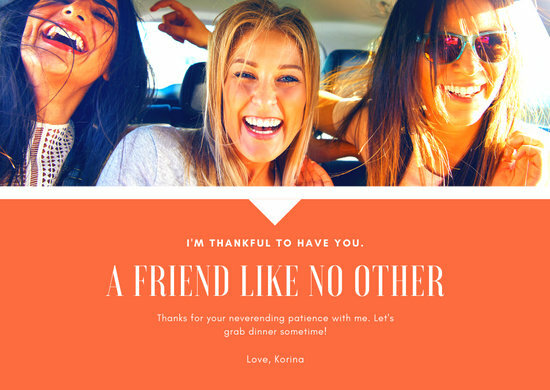 Bonding in real life and physically spending time together can be a task that seems inefficient or even daunting compared to learning about your friend's life with a quick swipe of the thumb. 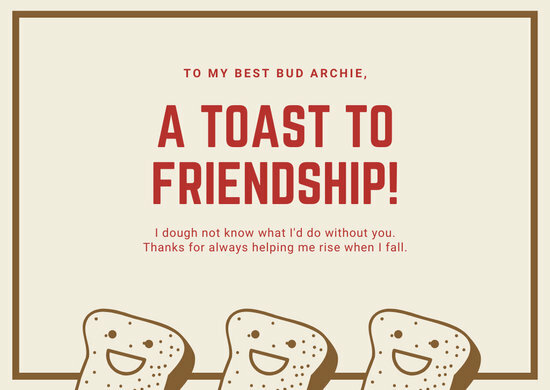 Despite the advantages of digital communication, it's important to go the extra mile for your friends. 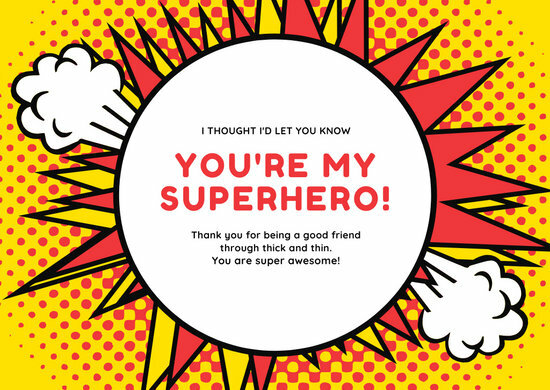 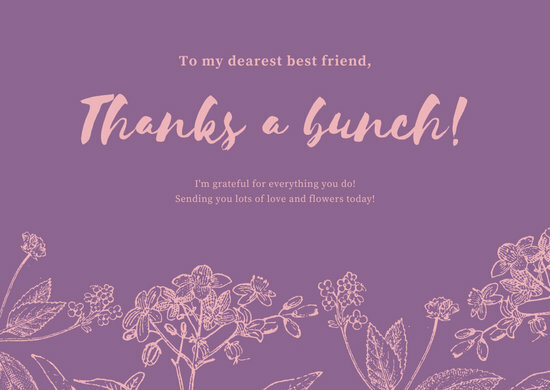 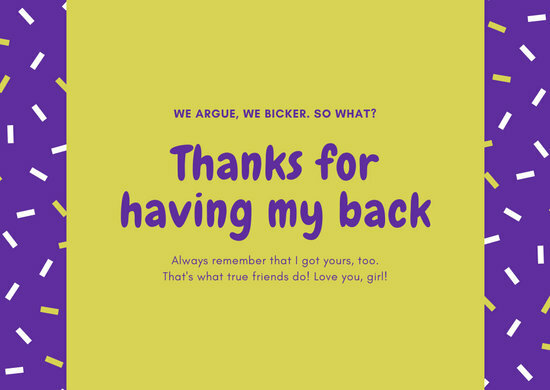 For whatever occasion, may it be a friendship anniversary, a simple catch-up greeting, or a random show of gratitude, you can make your friend feel appreciated by giving them a thoughtful and well-designed card. 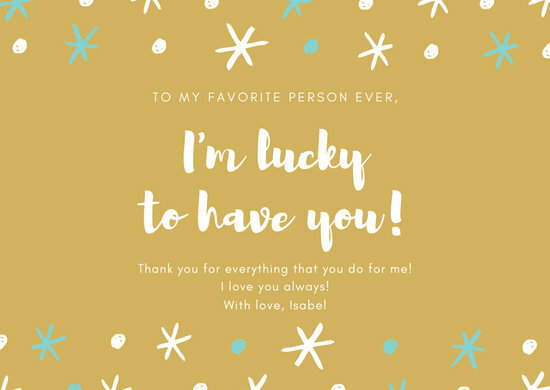 You don't need to shell out money or spend a large chunk of your time creating the perfect card for them. 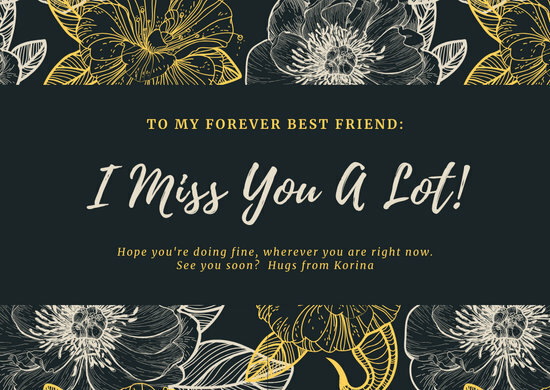 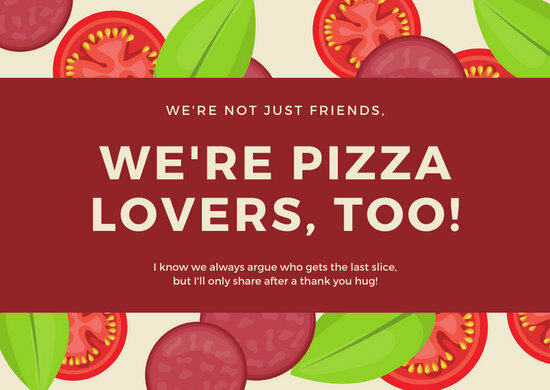 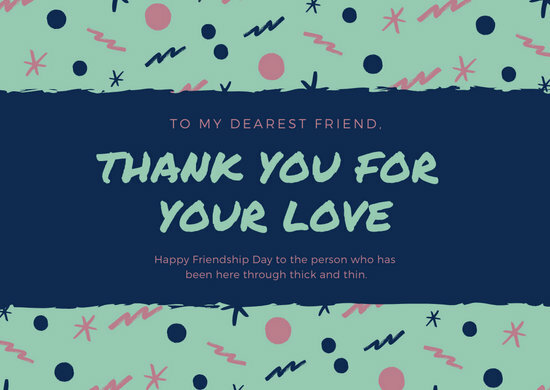 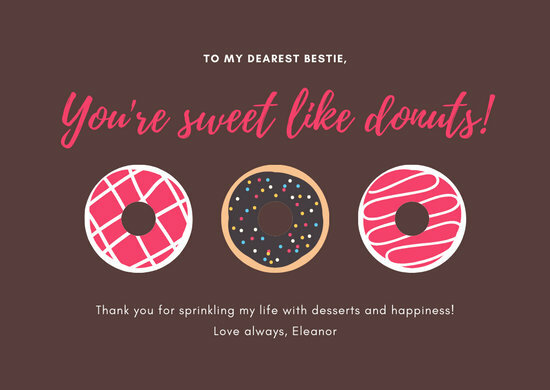 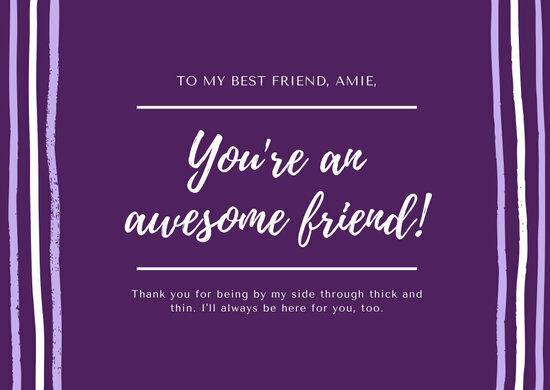 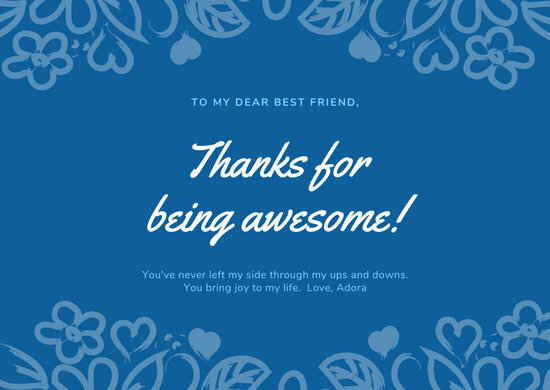 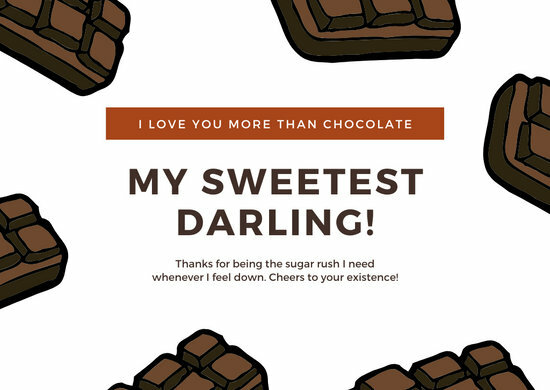 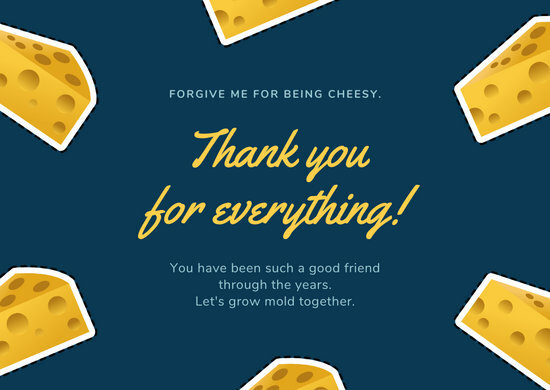 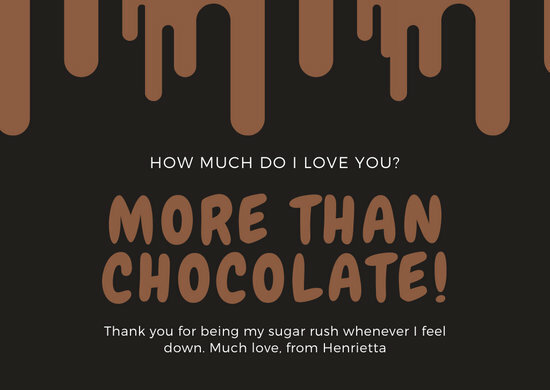 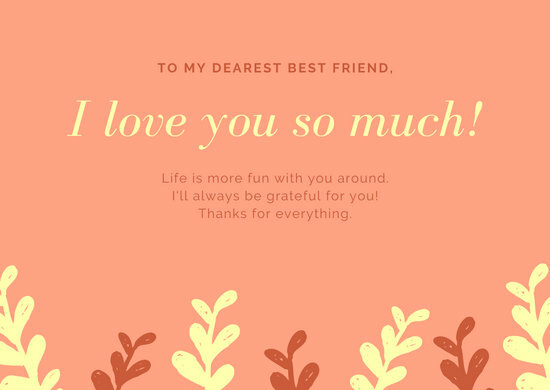 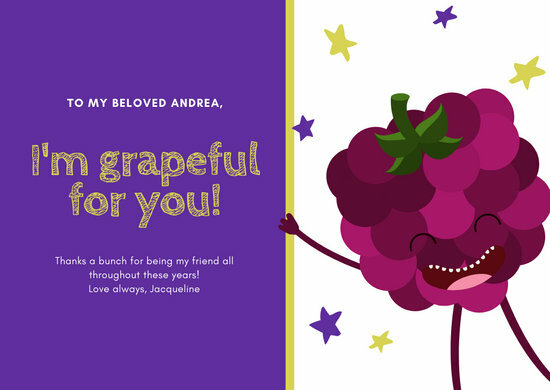 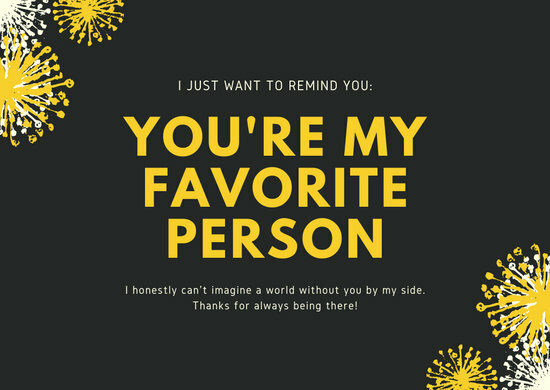 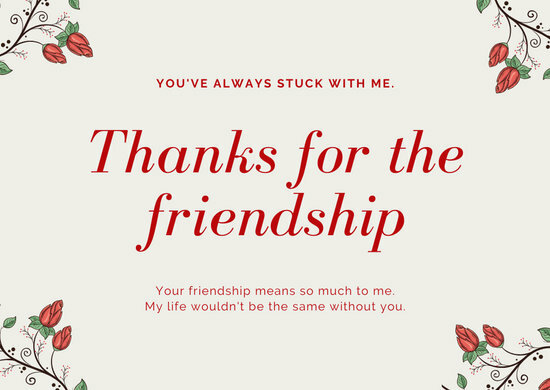 With Canva's free and user-friendly design software, you can create a beautiful and thoughtful friendship card that will surely be cherished. 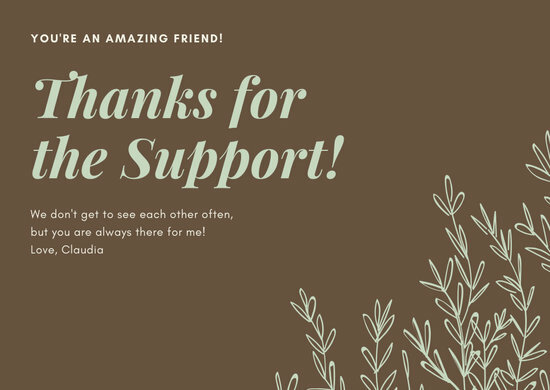 Canva offers a wide collection of card templates designed by professional graphic designers. 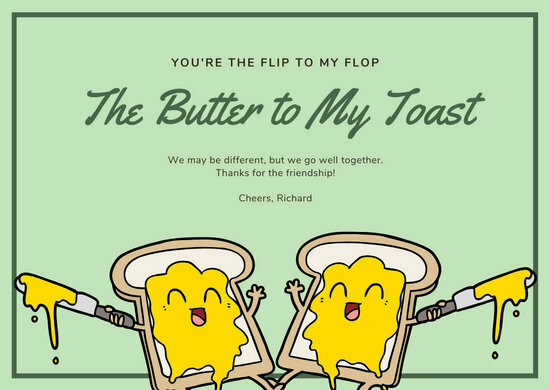 With its drag-and-drop tool, you can customize your chosen template's look with just a few, easy clicks of the mouse. 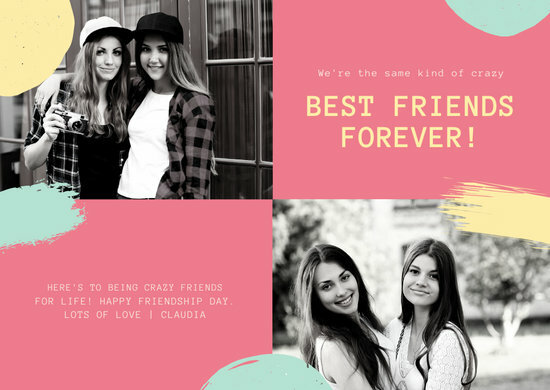 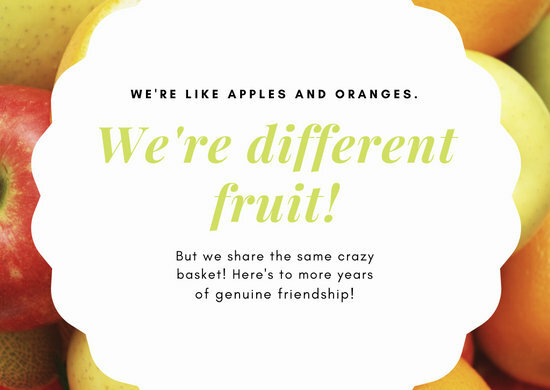 Armed with Canva's vast selection of design elements such as images, patterns, textures, filters, and fonts, you can create the most ideal card for your friend whatever their personality may be. 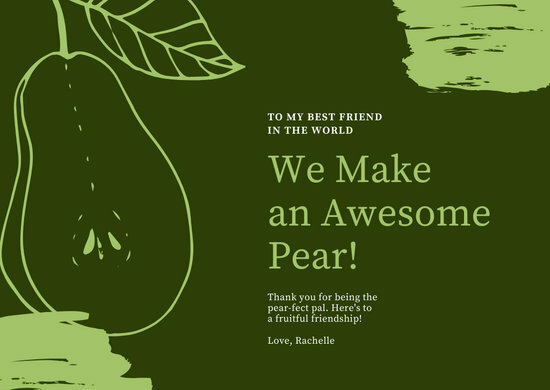 Once your card is ready to be given to your friend, simply save the file for printing or for sending online.